There are bargains galore to be found at the new Reuse Shop at the City of Fremantle’s recycling centre. The Reuse Shop has a wide range of goods for sale – including furniture, camping gear, surf boards, gardening equipment, toys, books, DVDs and musical instruments. They’re all unwanted items that Fremantle residents dropped off in the bulk waste area of the recycling centre. The City of Fremantle’s Resource Recovery Team Leader Conor Boyle said many of the items sold in the Reuse Shop would normally end up in landfill. 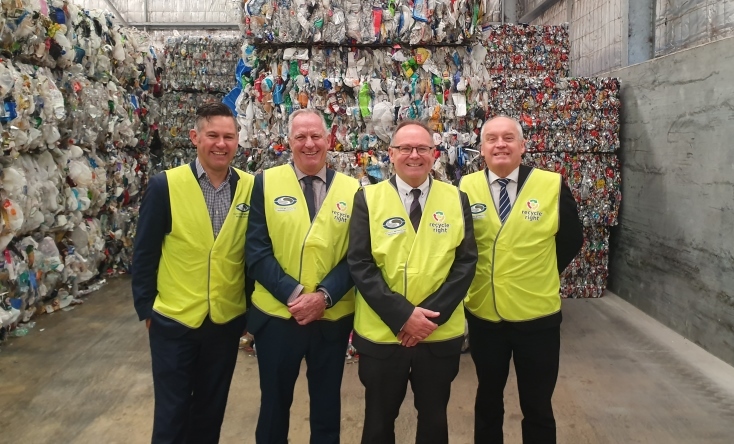 “As part of our One Planet Strategy we endorse the waste hierarchy of avoidance, reduce, reuse and recycle,” Mr Boyle said. “We’re focused on diverting as much as possible from landfill and creating a sustainable recycling centre, so the opening of the Reuse Shop moves us closer to closing the loop on residents’ waste. Mr Boyle said there have been all sorts of weird and wonderful items to come through the recycling centre, including a mould for a giant foot. “It lived at the centre for a few months until a resident took it to reuse as a bird bath in her garden,” Mr Boyle said. The City of Fremantle Recycling Centre, opposite the golf course on Montreal Street, is open on Fridays from noon-4pm and on Saturdays and Sundays from 8am-4pm. The Reuse Shop is open from 8am-4pm on Saturdays and Sundays. For more information visit the Fremantle Recycling Centre page on the City’s website.